This is one of the many quotes from members involved in the Retinopathy of Prematurity (ROP) network- all of whom are working to improve the care of premature babies. ROP is a blinding condition that develops in babies who are born preterm. Excellent neonatal care together with high coverage of screening and treatment mean that in most high-income countries blindness from ROP is uncommon. However, the same is not the case in many low and middle income countries (LMICs) where ROP has or is becoming an important cause of visual loss, often due to poorer neonatal care standards and low coverage of ROP programmes. ROP NET was established in 2017 with the goal of preventing vision loss in premature babies born in LMICs, by improving the coverage of prevention and treatment. Our ROP network is based around mainly South-South partnerships which matches institutions in Africa and Asia with mentor institutions currently based in India, South Africa and the UK. The “mentor” institutions were chosen based on their ability to train teams in ROP screening and treatment and offer ongoing support and mentorship. The “mentee” institutions were chosen based on the need for improving their ROP programmes and include institutes in Kenya, Tanzania, Nigeria, Ghana, Pakistan and Sri Lanka. All these diverse countries are at very different stages in their development with some having no ROP programme in place and others needing to expand their existing programmes rurally or nationally. Each partnership has had its own specific and unique needs and aims from the network. While Nigeria may be expanding its provision into district hospitals other countries, such as Ghana (see case study), are starting from scratch. “The Global ROP-NET initiative was timely. 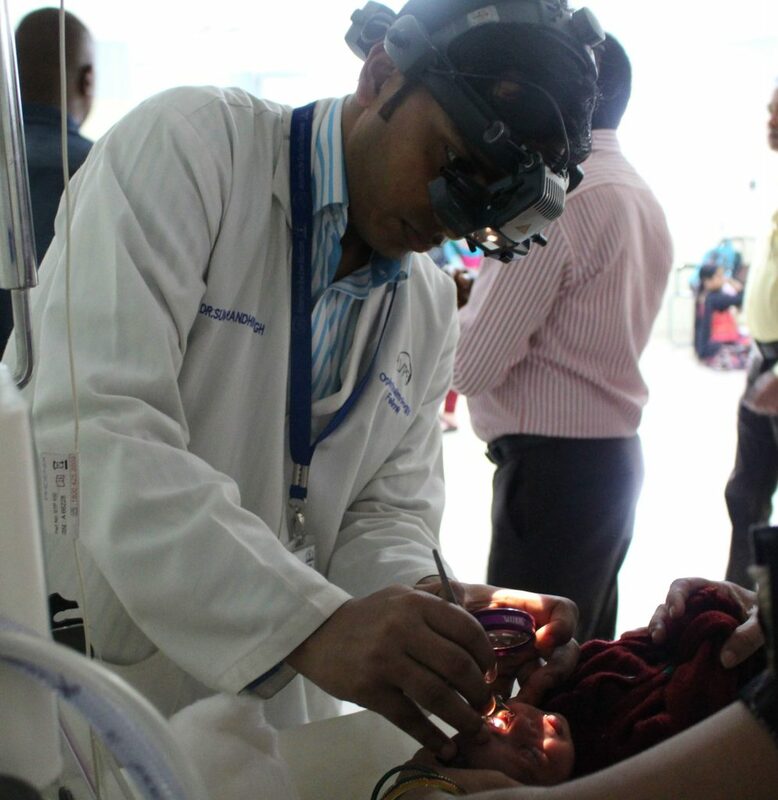 The collaboration has provided a framework for knowledge and expertise exchange as well as filling the gaps in the specialized training our team of doctors and nurses needed for ROP screening, through the twinning programme established with Aravind Eye Care System in India. This collaboration will ensure sustainable local capacity to deliver optimal health care for premature babies in Ghana and hence prevent avoidable blindness from ROP. We are also benefitting from some equipment supply and development of guidelines for awareness creation and screening on a national scale. Finally, the collaboration has assisted us to establish the fact that ROP indeed exists in Ghana and the time for a comprehensive and sustainable screening and treatment programme for ROP to be established is now! –ROP Team, Korle- Bu Teaching Hospital (KBTH), Accra, Ghana. This has not been easy journey for most members. There have been–and still are–challenges with staffing, training, equipment as well as raising awareness both within institutions and nationally. 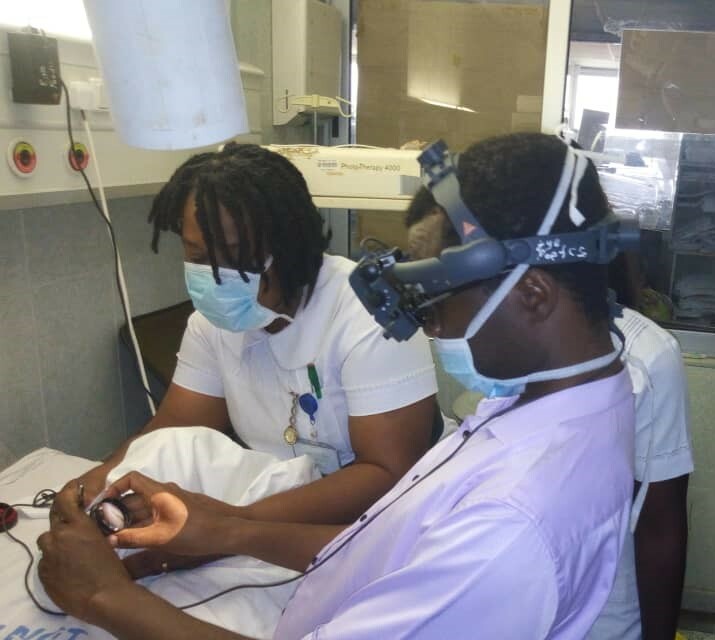 However, having strong and motivated leaders in the institutions who are able to work with multi-disciplinary neonatal and ophthalmology teams has been key to making progress. It requires grit, grace and determination! Hearing the stories coming from the partnerships has been inspiring. There is still much more to be done and we hope to be able to grow our network over time and look for other potential mentor and mentee institutions. 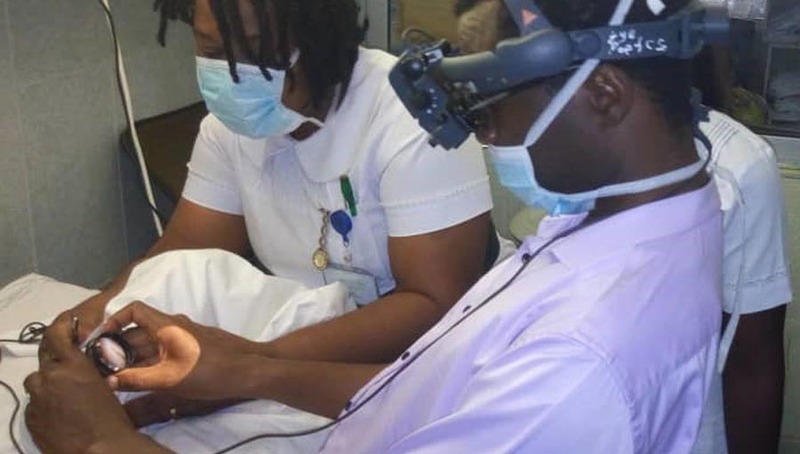 Meanwhile all those involved are playing a vital role in improving the care of premature babies and preventing them from a lifetime of visual impairment. I would like to give special thanks to Prof Clare Gilbert, all the members of the ROP NET, Jyoti Shah and AJ Climpson-Stewart for all their efforts to make the ROP NET a success. And our funders the Queen Elizabeth Diamond Jubilee Trust and the Commonwealth Eye Health Consortium.